When you interview candidates to be a part of your small business, what are some of the things that run through your mind? Do you worry you’ll choose the wrong person? Or that you’ll never find the right person for the job? If you’ve asked yourself these questions, you’re not alone. The truth is, many small business owners are unsure how to interview and choose the correct candidates to help build their business. In the end, choosing the incorrect employee is like taking a step backward. But many companies are extremely successful at hiring, aren’t they? Absolutely. So, why can’t you do the same? You can. To help you understand how to attract, interview, and retain your employees, we’ve come up with four HR tips. If you want to succeed, you’ll have to start by attracting the right candidates. Though there are many ways to do this, using your company’s culture is the very first place to start. Why? Well, if you have the best recruiting strategy in the world, but a horrible company culture, no one will want to stick around. So, create an environment where your employees can thrive. Create an atmosphere where your employees can actually care about what they do and see the positive impact they have. This is done by talking with your current employees about what everyone cares about and coming up with a way to make that part of your culture. Once you feel your company’s culture is getting to a point where you and your employees are happy, you can create a plan to attract and retain the best employees. But keep in mind, your plan needs to be flexible. In other words, plans are great - you should always have a plan - but it’s equally as important to be flexible in your plan. Many times, your plan serves as a strategic foundation for you and your original plan is completely altered halfway through. This is okay. In fact, it’s perfect. Be flexible in order to adapt. Your plan should be fluid, but your foundation should be solid. It’s tempting to outsource your hiring. But, you must ask yourself if outsourcing is the best option for you. You need to invest in hiring if you want your small business to thrive. Remember, YOU are the owner of your small business. Only you know it like no one else. So, naturally, you’re the perfect person to decide who will help build your company up. Take the time required to interview and hire properly. You’ll thank yourself later when you have qualified, passionate individuals working for you that want to be there. The last thing you want is to hire one or two individuals who are well-qualified and passionate about their job, only to fall flat on their face two months later. The reason for this? The environment isn’t cultivating creativity. We talked heavily about the importance of your culture, and part of your culture should be creativity - idea formulating. Make sure your company’s culture is one where your new hire(s) can really spread their wings. After all, you’re not paying them to look pretty. They’re there to stand by you and your team to become the best. Lastly, and most importantly, you have to realize that the choices you make now in your small business will have everything to do with your success later on. For this very reason, you must learn to interview, recruit, and retain effectively. You need a flexible game plan that you can stick to. 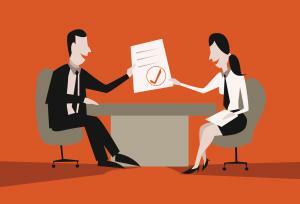 Interviewing is more than a “to do list” item. It’s what makes your small business a success or a failure. Choosing the correct employees allows your small business to grow and flourish. When you choose incompetent employees, you risk losing an important part of your business and what it stands for. You can become a successful company at hiring, the question is, are you willing to give it your all to accomplish this? How has company culture affected your business? Discuss below.